We can see the Nataraja is drawn inside a 8×8 Manduka mandala, his left leg is raised suggesting a movement from left to right. Why should he suggest that he is moving from left to right? His left hand holds Light / Fire and his right hand holds Drum / Damru / Sound. The process of Evolution which starts with the absolute time and Pranava is fantastically represented pictorially. It suggests that the evolution process starts with the rhythmic dance of the PARAMAANU in a 8×8 energy grid and this process evolves first as light and then as sound. This light and sound creates further forms and the entire universe. From being un‐manifest the Pranava emerges. Or the Pranava evolves the un‐manifest to the manifest and starts the cycle of evolution. This leads to a pulsation which is called as the COSMIC DANCE / CELESTIAL DANCE / DANCE OF EVOLUTION. This pulsation is rhythmic and symmetric. The luminescent shaft of consciousness is called as Brahma Sutra or popularly called as String theory in the modern science. The process of creation evolves from the dance as light then sound evolves from light and then all the visual and aural forms in this universe. There is nothing more scientific in this world that is pictorially represented about the evolution of universe. You should read a book called “The Tao of Physics” by Frijat Capra where as physicist he explains how he experienced this and highlights the dance of the quantum particles in space corresponds to the dance of Nataraja. Now this central shaft of Consciousness is called Brahma Sutra and according to our scriptures Paramaanu has this string, which means every being, matter, inanimate things in this universe including the tiniest of subatomic particles have this string / sutra. In the future parts we will see the Maths behind this sutra and the pulsation but let us look at what the modern science says about Superstring theory here. 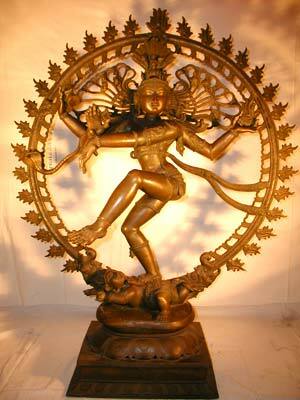 Also check out Nataraja at the CERN. As a wise man said, “We are the most ignorant about their rich past and scientific traditions.” We have a very rich past that is most scientific and it is left codified in a form across thousands of temples in India. Let us just open your eyes and understand the scientific meaning around it. May that “Sutradhaari” dispel our ignorance and reveal to us the secrets of nature. What did the unmanifest space energy contain? Was it a point of singularity as the modern scientists wanted us to believe? If so then how much mass was concentrated in that point which is obviously very difficult to believe? The space is filled with Paramaanu or Microbodes which are cubical atoms. The primal manifest form of the unmanifest is a square (primal wave pattern). This is the shape of the Paramanu or Microbode. This is very luminescent, means filled with light and on a 3D plane this shape is a Square Cuboid. A Square Cuboid is a shape which is equal in all sides – say of unit measure which is the smallest measure possible and has 6 faces, 8 vertices, and 12 edges. It is expressed in Hinduism with the idols of Lord Shiva and Lord Muruga having six faces, 12 eyes, hands etc. We also need to note that 6 faces can be represented in 2 ways as Cube and Tetrahedron. 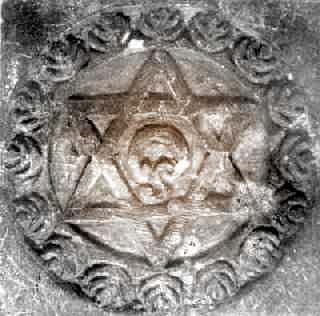 Lord Muruga’s star (Hinduism) or a Star of David (Judaism) in 3D which has 6 faces and 12 edges, popularly known as Tetrahedron. 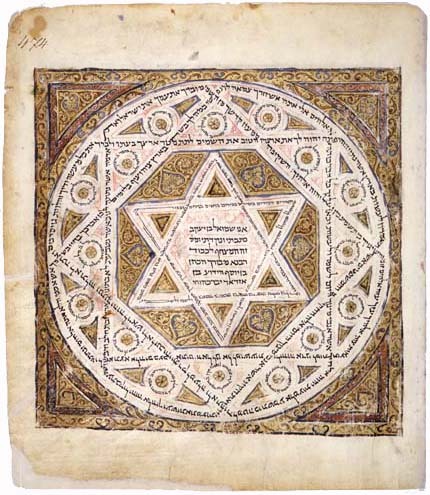 Six pointed stars have also been found in cosmological diagrams in multiple religions across the world. It also represent the heart chakra (Anahata) which is related to love, equilibrium, and well-being. Shatkona(six-cornered) is kind of simplistic representation of Sri-Chakra. Shatkona or Sri-Chakra are both combinations of upward triangle(s) and downward triangle(s). The free space is packed with cubical atoms of energy. They are building blocks of the structure of the universe. So what is clear is that all these atoms existed in a “resonant state of nonvibration” before the so called “big bang” happened or the pulsation started.It did not burst out of a single point as popularly believed. Alternatively, in space every point is the center. When the pulsation started these cubical atoms underwent a shape change and manifested as shapes and forms. This cube is called as micro‐abode called Sittravai / Chittrambalam (mini hall in Tamil). This is secret in Chidambaram, Sage Appar (Chidambara ragasyam) realized. Chidambaram is a Shiva temple associated with Space energy and when you go to sanctorum you would not find any idol but just empty space with some lights there. This is to signify this concept of Paramaanu which is luminescent and is a Cuboid in shape. This is the smallest particle possible and can be called as ‘God’s particle”. The micro space, in the cubical shape is fetus or Garbha. This is known as Vinkaru in Tamil. This micro abode is the repository of light and sound. The free space is Light and the Light is Moolam or source of the universe and universal forms. Light is Brahman, Atman, Vastu Brahman – Nunporul or Paramporul in Tamil. 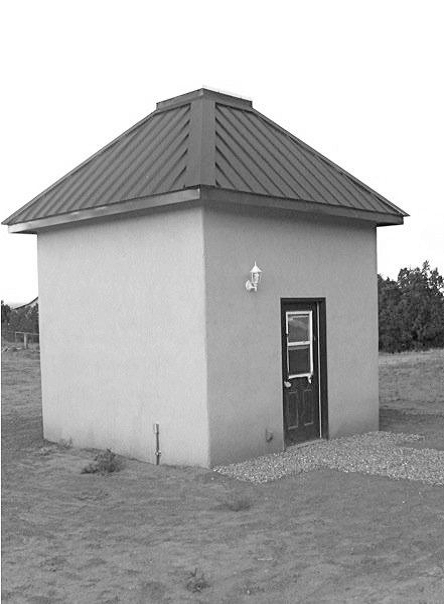 In a small and obscure red rock canyon in southern AZ called Aztec Canyon you can find a little metal roofed square building, which measures about 10’. x/32” by 10’. x/32 “ by 10’. x/32” in size, sitting amongst a forest of old black oak trees that are native to that land. (The mathematics are precise but not offered here because they are part of the ancient Vaastu Rahasya – secret of Vaastu – and can only be given by a Sthapati or his or her direct representative). The Temple Cottage, as it is called, was built-in the summer of 2010 by students from around the world who were studying an ancient building science called Mayonic Science and Technology, Sthapatya Veda or more popularly, Vaastu. Its’ construction was part of a 1-½ year program to become a certified Vaastu Consultants through the American University of Mayonic Science and Technology http://www.aumscience.com. Heart coherence (the relative stability of the heart beat with more or less variability) has been demonstrated to indicate the level of stress in an individual and the subsequent state of their body, brain, emotions and consciousness. High heart coherence (low .. 2 heart rate variability) indicates a peaceful, blissful, connected state and low coherence indicates a restless stressed state with all of the biochemistry associated with that state. There are indications that heart coherence may be a more profound indicator of higher states of consciousness then research in brain wave patterns. Put simply, scientists are finding that the brain is not the commander – the mind of the heart is in fact the one who runs the show. When one expects to feel something often they do – real or not. Science helps eliminate the collusion that happens so often in this age of crystals, chanting, and tarot cards. We now know that buildings such as these have an authentic and unmistakable positive affect on people. In the research that was conducted (Mercay and Hoffman, January and July 2010), individuals were measured before and during exposure to such a building (including this one). The results were clear – the subjects demonstrated a significant increase in heart coherence while being in these buildings. Their heart coherence doubled in every case. Subjectively they noted an increase in happiness, wellbeing, peacefulness and that subtle illuminating experience called spiritual bliss. Vaastu Science when applied to built space takes other aspects into consideration including: slope of land, flow of underground water, roads, bodies of water, quality of soil, vegetation, flowing water on the surface (streams and rivers), the flow of water through pipes in the building, to some extent building materials, secondary door placements, window placements, elevational factors and much more. The unique aspect of Mayonic Science, the original form of Vaastu Science, is that these considerations are based on mathematics, astro-dynamics, and geophysics and physics rather than superstition. 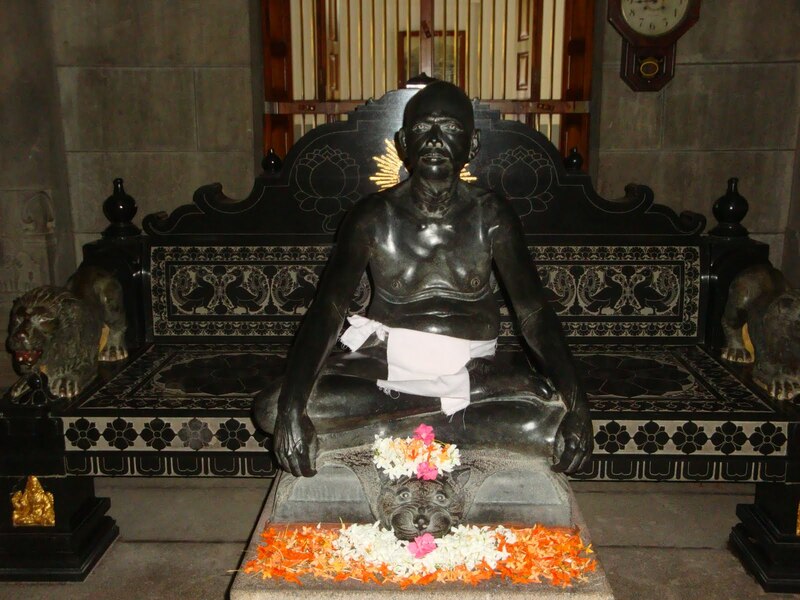 When my father was working in the Ramana ashram he had to make a statue of Sri Ramana Maharishi. My father was very close to him. He had seen the innermost feelings of the Maharishi on his face. What my father saw, he savored and absorbed. When the work on the image was begun the Maharishi would come every day and look at the progress. As the image was nearing completion, he looked at the statue and said, “Oh! Ramana is here!” Immediately my father put away his hammer and chisel. Through the proper execution of Vaastu Science, the statue ceased to be simply a chunk of stone – it became enlivened with the consciousness, qualities, and characteristics of Ramana Maharishi. When Ramana Maharishi witnessed his own consciousness and qualities awakened in the stone he acknowledged that to the Shilpi. The stone had become a living structure exuding the vibrational frequency of Sri Ramana Maharishi. Another way to view this is that animate objects vibrate at a specific frequency in Space and Time. Inanimate objects have their own frequencies as well. The term living structure describes the frequency of animate objects. It is as if, when Vaastu Science is applied to an inanimate stone and the stone is formed into a Vaastu structure, it begins to vibrate in the same way as an animate object. Those who know the secrets of Vaastu Shastras can determine the qualities or frequencies that objects (enclosed spaces) produce. According to Dr. V. Ganapati Sthapati, without applying Vaastu principles, specifically Mayonic Science and Technology, the structure, jewelry, art or other object is “sick.” That means that consciousness is not harmonic with the wearer or dweller. In that state, the individual associated with that structure does not experience the possible gain and benefit available from Primal Existence. The “sick” object or structure can, in some cases, drain the life of the individual and create ill-health and misfortune. It is as if the “sick” structure is seeking energy from the owner/resident in an effort to struggle for life. The result is that the owner/resident begins to struggle for life. In a properly constructed or rectified Vaastu structure, life energy and harmony is added to the life of the owner and occupant. The entire structure of a Vaastu house becomes a self-­‐effulgent living organism that transforms its dweller into a radiant self – effulgent spiritual being. A properly constructed built space created through the application of Vastu Science and Vaastu Science brings spiritual bliss to the dweller. 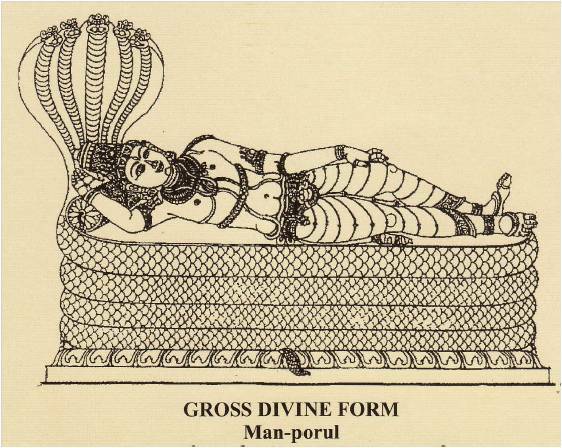 Vaastu Purusha is diagrammatically indicated through the Vaastu Purusha Mandala or Paramasayika Mandala. Vaastu Purusha may appear externally as calm, quiet and undisturbed, but in reality, he is a great force, great Purusha (consciousness), ever vibrant, ever energetic. It this vibrant and energetic Bhumi Purusha (Bhumi means Earth), that we call Vishnu. Lord Vishnu is Vaastu Purusha. 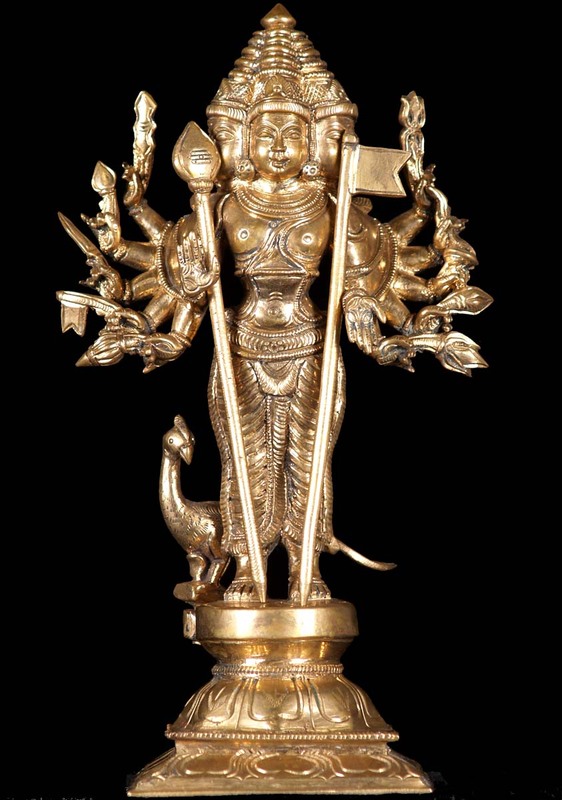 While the statue of Lord Vishnu is taken as a being a God to be worshiped, it is in face, an encoded form that demonstrates the produce of Vastureva Vaastu – that is Earth, Vaastu Purusha, or Vishnu. Unmanifest Luminous Space, or energy is known as Vastu Purusha Mandala or Manduka Mandala. 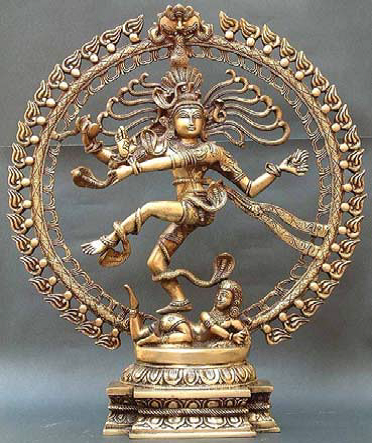 This form is visually demonstrated and encoded through the beautiful statue Mayan cognized and created called Nataraja. When we look at Manduka Mandala or Vastu Purusha Mandala we can think of Nataraja and Luminous space. This inimitable light that Nataraja demonstrates is of the nature of consciousness itself. It shines forth as the Brahman and the energy of Brahman; this itself is the luminous Nataraja. (The word light actually means consciousness – luminous Space means conscious Space). The frequency of vibration of the Primal Existence is employed and expressed in the image of Nataraja, and that a mathematical order or numerical expression arises as a result of that vibration is given in a concrete form – Nataraja. 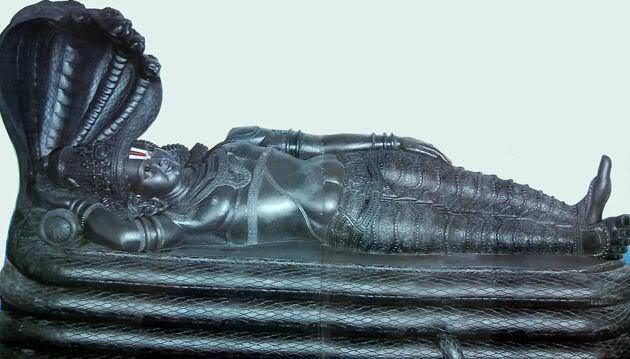 The statue of Lord Shiva represents the eternal dance or frequency of vibration of this dancing. It is the dance, which signifies the creative and devouring role of the great Time, which signifies the cyclical order of Time. From this arises the mathematics of manifestation and manifest forms which we use in Mayonic Science and Technology, Vaastu Technology and Sthapatya Veda. The form of Nataraja encodes the entire journey taken by Consciousness as it develops its material Self. 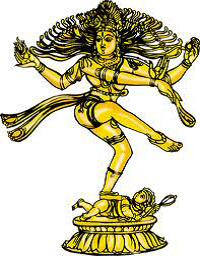 The image of Nataraja is the quintessential form of Space Principle. Outer space or Supreme space is the abode of Nataraja. (Dr. VGS). This is what we must think of when we think of Vastu Purusha Mandala or Manduka Mandala. The two energies (Nataraja & Rangaraja – Vishnu) are one and the same consciousness taking shape within the body of Consciousness or Space. 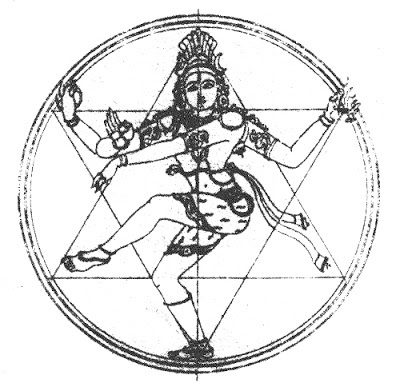 The traditional Nataraja with uplifted footpointing in the clockwise direction indicates Shiva or unmanifest Consciousness; the Nataraja form with the uplifted foot indicating a counterclockwise direction is actually indicative of Vishnu or Vaastu. Likewise, the two energies depicted by the two Mandalas (Vastu Purusha and Vaastu Purusha) are one and the same. In Indian Sculpture and Iconography (Dr. V. Ganapati Sthapati) this will be further demonstrated on later where discussion on Nata Manam – measurement of the body in flexion is conducted. The measure of flexion when turned sideways is none but the form of a sine wave. See figure below. In light of these ideas, Vishnu and other Gods and Goddesses may be viewed as Gods but more appropriately, should be viewed as scientific phenomenon. I contend that this is a scientific principle demonstrated and preserved by the shilpic arts and science – none other than Vaastu Science and Technology. “Take the 2 words Ganapathi and Shanmuham appearing in books on different topics. 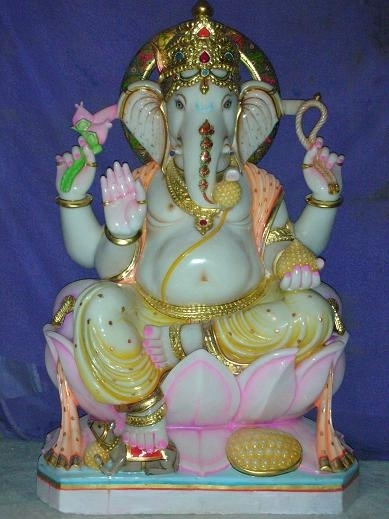 Logically, a person reading them from a Hindu religious book will immediately think of Lord Ganesha or Vinayaka with a potbelly, elephant head sitting with a big mouse at his foot and of Lord Subramanya with a three-headed dagger in his hand, sitting on a peacock. It will also come to mind they both have a brotherly relationship. Suppose the same names appear in a pure biography book and a person not knowing any Hindu religious names reads them. No Gods will come to his mind at all. He will only think of some places or persons having these names. ‘Gana’ = cubic; ‘pathi’ = space (or owner of gana); ‘Shan’ = 6; ‘muham’ = face. So we see that the knowledge of the six-sided Vastu cube (microabode) is encoded and preserved in the statues of Ganapati and his brother. 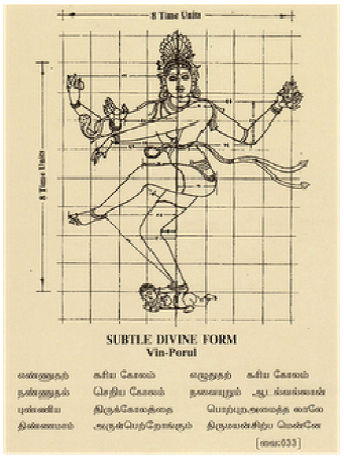 Another example of this scientific code hidden in the names and forms of Shilpic designs is the description given to the Nataraja or Dancing Shiva. Traditional practitioners in the Shiva temples adore Nataraja as “Kalacakra Pravartakah.” The translation of this is “the one who wields the clusters of time units and time divisions on various planes.” (Dr. S.P. Sabharathnam, Introduction to Mayan’s Aintiram, p. xv). This clearly refers to the Space Time units discussed at length in this book. While this information refers to linguistic encoding I would like to point out that language formation and meaning is within the scope Mayonic Science and Technology. The shilpi tradition has used visual language to encode scientific principles and aural language to encode the same scientific principles by naming the forms they create. Their visual literacy is directly connected with verbal literacy. They create in name and form a heretofore-secret scientific code in the forms that have survived the centuries. This is an extremely exciting era in the unveiling of the secret scientific codes preserved by Mayonic Science and Technology through the Shilpis, sthapatis and other members of the scientist/artist Viswarkarmas of Mother India.